Look Like You Walked off the Pages of VOGUE! 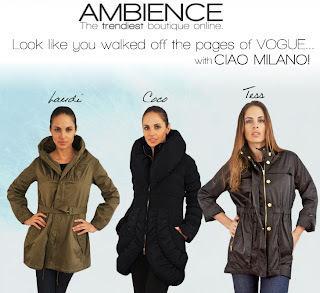 Ambience is carrying the best of the line this season so that you can stay fashionable warm when the temperatures drop. pages on Vogue in this coat. The Tess and Landi are great anorak jackets that you will grab all year long when you run out the door. There are so many great coats you need to look at the website to see the great selection.